Dear Readers, this magnificent elm tree, over 100 feet tall, was for a long time the only surviving elm tree in Westminster. It is estimated to be about 150 years old, and was probably planted as a sapling in the grounds of the parish church of St Marylebone. Unfortunately, the church was so badly damaged during bombing in World War II that it had to be demolished, so now the tree finds itself marooned on the pavement outside a tiny Garden of Rest. As I stand under the tree and lean back to take my photo, I become aware of what an enormous organism this is, dwarfing the people under it. 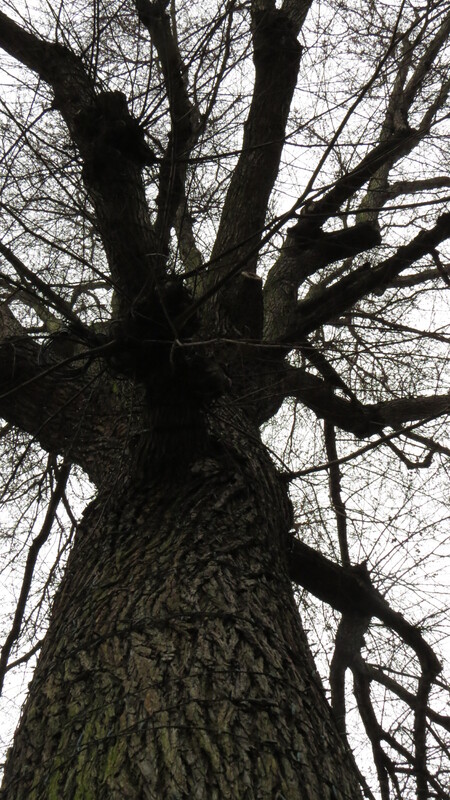 It has the a presence, a sense of individuality that I often recognise when I spend time with old trees. And this one is a survivor twice over, because not only did it escape the German bombs, it was also somehow bypassed by the Dutch Elm Disease of the 60’s, which killed over 25 million trees in the UK alone. Dutch Elm Disease had been in the UK since the 1920’s, but this was a mild strain of the micro-fungus which causes the disease, and which usually just killed a couple of branches. The fungus is carried by bark beetles, who normally do only minimal damage when their grubs dig tunnels through the bark. Unfortunately, the 1960’s brought a much more dangerous strain, carried into Europe in a consignment of logs from North America. As the fungus enters the wood, the tree reacts by plugging up the xylem that brings nutrients and water to the leaves. Gradually whole sections of the plant die off, and so the leaves that bring nutrients to the rest of the plant fall, and the tree starves. 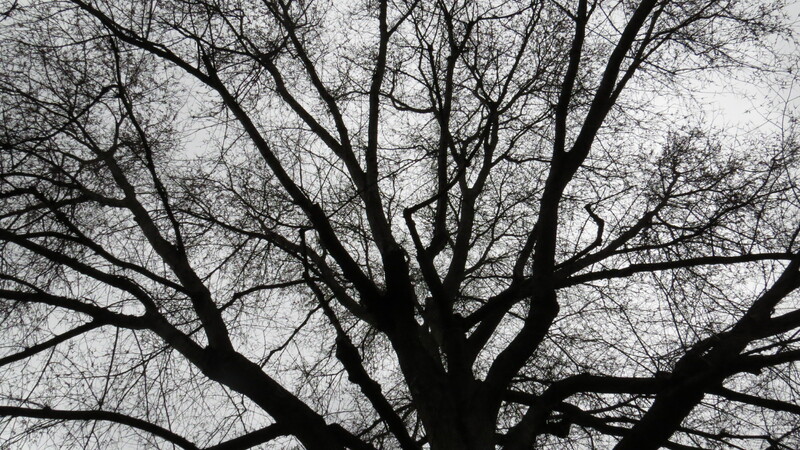 Over 75% of all the elm trees in the UK died. 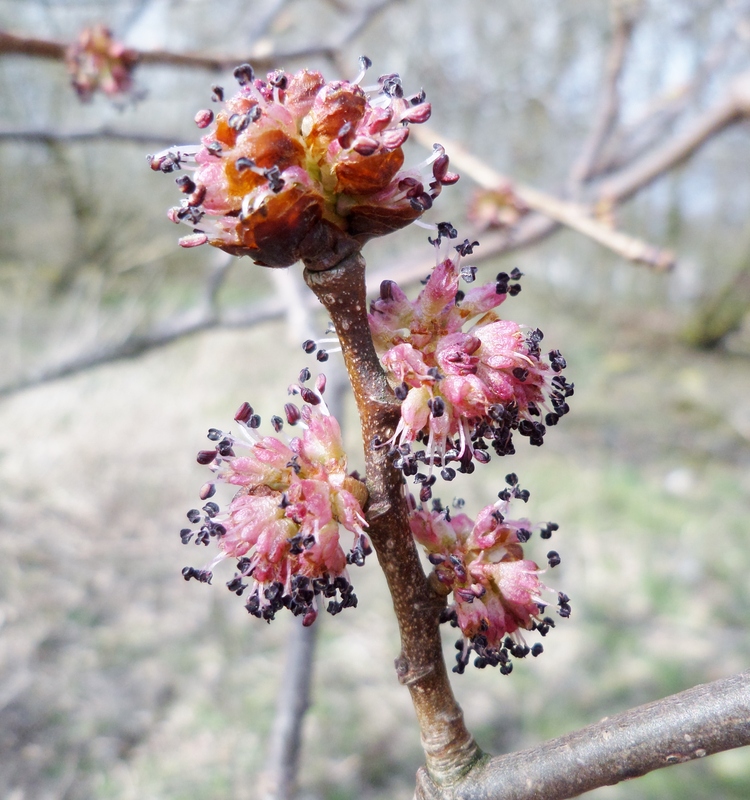 Elms that have been incorporated into hedgerows survived the fungus, which only really starts to impact on the tree when it grows above 5 metres. However, all over the country the giant elms, the preferred nesting trees of rooks, succumbed. Among them was the largest elm ever recorded in the UK, the Great Saling Elm, with a girth of 6.86 metres and a height of 40 metres. 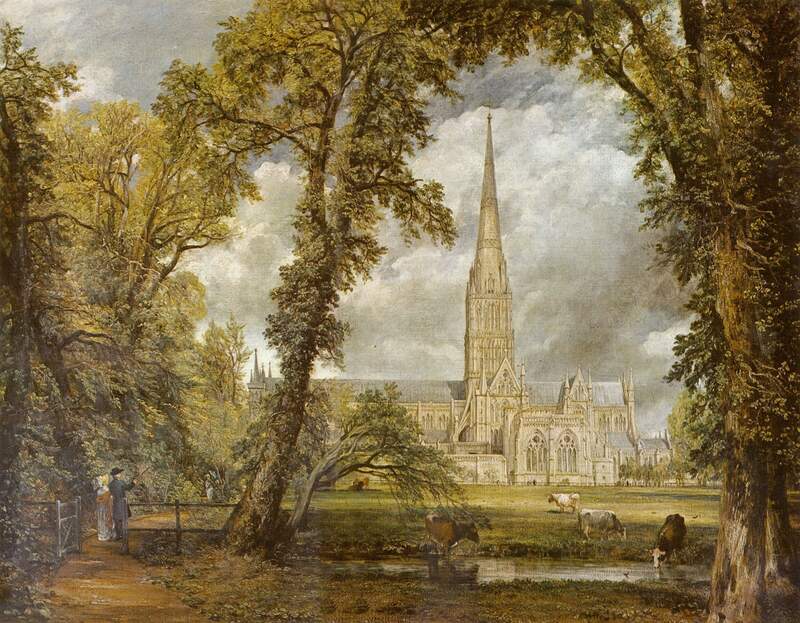 The elms in the paintings of John Constable are also mostly gone. or glowered, grim giants, warning of storms. To hear her read her poem, have a look at the link here. I noticed that wire had been twisted around the trunk of the Marylebone Elm, I suspect as a support for Christmas fairy lights. This is something of an indignity, but I suspect that the tree is less perturbed than I am. I sometimes think that we treat trees with such disregard because we can’t imagine that they are living things because they are so large, and live on such a different timescale from us. Certainly, we seem to view them with all the compassion that we would extend to to a lamp post. And yet, I have cried hot tears at the callous cutting down of trees, and at the disrespect that we show them, and it seems I am not the only one: in Sheffield recently, two ladies were arrested for trying to prevent the cutting down of their local street trees, an event which commenced at 4.30 a.m. to try to avoid public outcry. 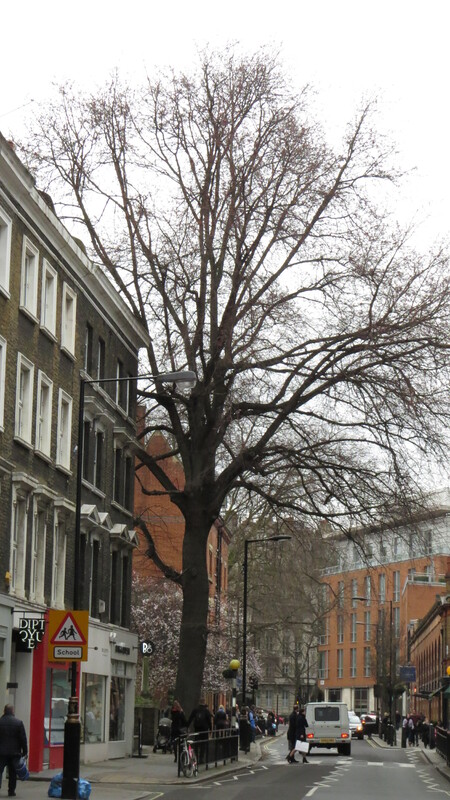 But, at least the Marylebone Elm is still in good health, and the buds are just appearing. Soon, there will be the crisp, veined leaves, and then the yellowing into another autumn. 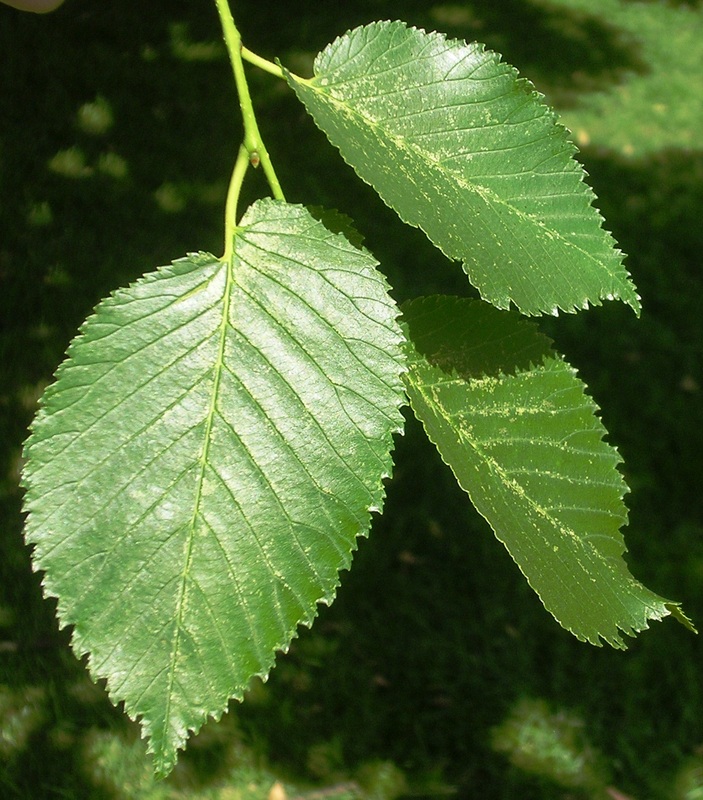 Although the Dutch Elm disease problem has never gone away, there have been thousands of new plantings of the trees, including some in W1, the postcode of the Marylebone Elm . 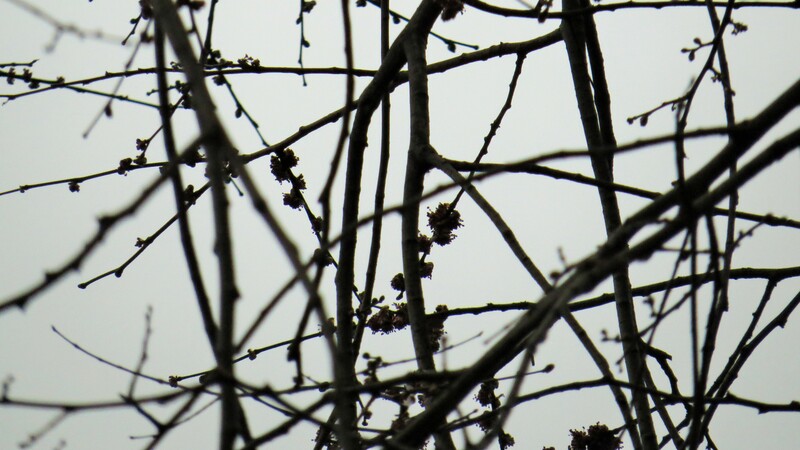 Elms are complicated trees, with many subspecies and varieties, and some have more resistance than others. Plus, as already noticed, small trees can survive as saplings or in hedges for many years. 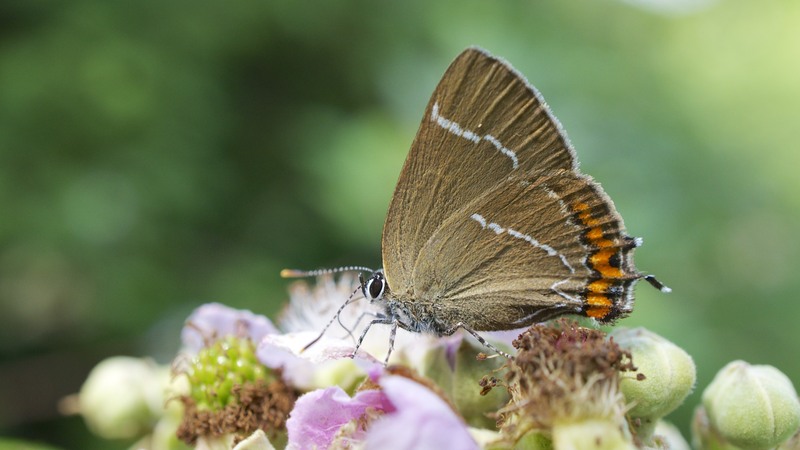 The elm is still here, under the radar, still providing nesting places for blackbirds and food for over 82 species of insects, including the white-letter hairstreak butterfly, whose caterpillar feeds only on elms. The numbers of the butterfly were much reduced by the death of their foodplant, as you might expect, but they are now fighting their way back. 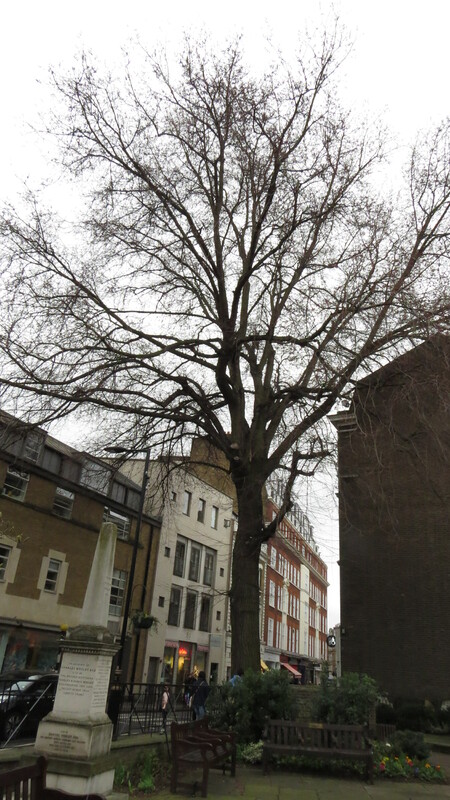 The giant elm of Marylebone seems strangely out of place these days, slotted in among the buildings as if every last inch of space that it takes up is begrudged. And yet, here it still stands, a survivor of fire and destruction, and of the insidious fungus that destroyed so many of its compatriots. It reminds me of that generation of people who survived the trenches and saw untold horrors, and yet who just got on with it. And that is what living things do, given half a chance – they carry on, until they can’t. May the Marylebone Elm carry on for many years to come. 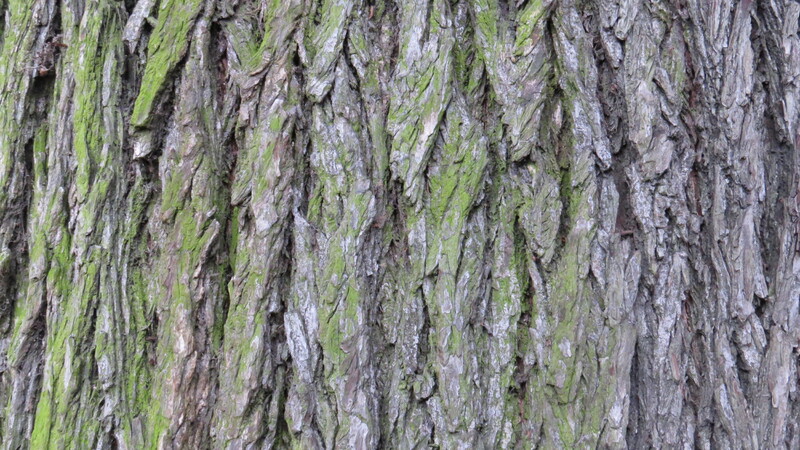 I discovered many of the elm facts included in this blogpost in this article by James Coleman at The Londonist, and very informative it is too. This entry was posted in Bugwoman on Location, London Plants on March 4, 2017 by Bug Woman. Oh I love that tree too! Sitting on top of the 91 bus, I can look into its branches, feels rather impertinent, like peering through someone’s bedroom window! 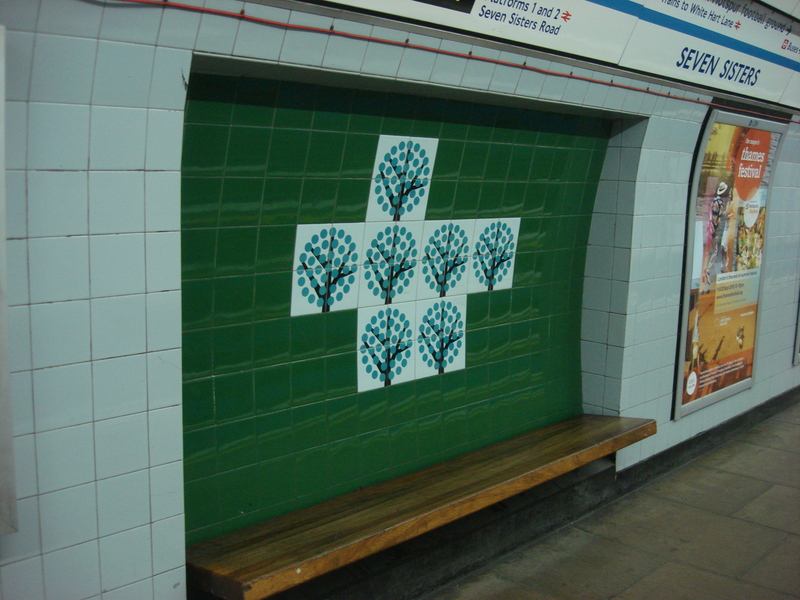 I wonder if you would be kind enough to post images when the Marylebone tree is ‘fully dressed’? You would make an old woman very happy. I would be delighted to follow the tree’s progress, Toffeeapple. I was very happy to see that Westminster Council have been planting many trees, and among them are some elms. It would be truly wonderful if they made a comeback, eh. Thank you Vivienne. That is certainly good news about Westminster Council and I shall keep my fingers crossed for a full comeback. Great tree, it’s good to know that it’s a survivor, hope among the bustle of the city. In Melbourne (Australia) we have about 6000 elm trees in parks gardens and streets, under the care of the City Council. We have the beetles but so far not the fungus. Our elm trees have suffered from drought and poor management (pruning etc) but a volunteer group called Citizen Foresters has been formed to protect them. I can see a mighty elm tree swaying in the breeze right outside my window. How lovely, Gert! I’m so pleased that your elms haven’t encountered the fungus, and that they are being looked after. I’ve so enjoyed reading this post and looking at the photos – thank you. Next time I’m in this part of London I shall make a pilgrimage to see this wonderful tree. 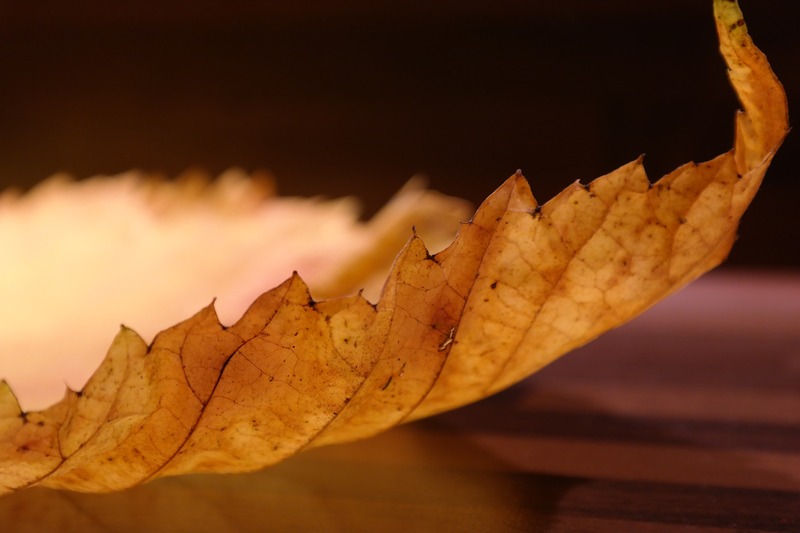 Thanks, Veronica – yes, do pay the elm a visit, it’s magnificent!